After nearly three years of implementation, the Creative Europe programme delivers its first substantial results. Many important projects are being finalised. The timing is therefore good to show what is being done and what are the achievements of the programme on the ground. On 27 October, project coordinators and people benefitting directly from the projects, artists and creators as well as policy makers will gather to exchange their first experiences with Creative Europe: what have they learnt, what were the main achievements and what challenges they had to face, what impact can the participation in a Creative Europe project have on artist's careers, how artists and creators got involved in projects and why - these and many other questions will be in the spotlight in Brussels in October. The discussion will take place against the background of real outcomes of Creative Europe projects. We have conceived the conference as an illustration of how policy priorities get concrete and tangible through creation, transnational partnerships and people on the ground. Do the projects help people acquire new skills that enrich their professional life? What role for digital tools and new technologies? Have we seen new business and funding models for culture? Video may take a few seconds to load. What solutions have we found to widen and diversify the public? How to bring arts, culture and people closer together? 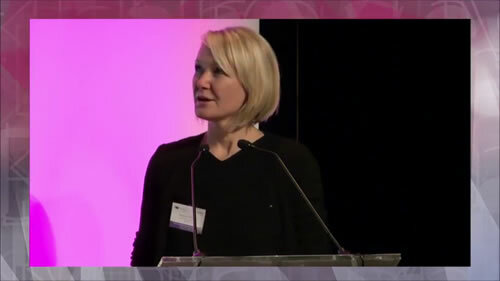 Can culture respond to the challenges of today's society? How can cultural projects bring about dialogue and cross-cultural understanding? How can cultural projects help build more inclusive societies and integrate migrants and refugees? What can European projects do to bring cultural heritage closer to the people? How can they make heritage a strategic resource for Europe’s society and economy? 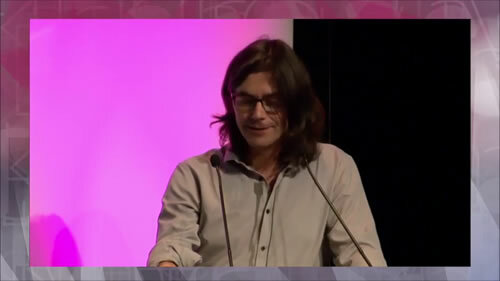 Luka Piškorič is a cofounder and managing director of Poligon Creative Centre in Ljubljana. Luka Piškorič is a cofounder and managing director of Poligon Creative Centre in Ljubljana, an autonomous coworking space and platform for empowerment of independent professionals and creative communities operating in the field of creative economies, social entrepreneurship and culture. With over 20 years of experience in various roles in almost all the fields of creative industries, he has been researching, implementing and lecturing about new models such as community development, coworking and crowdfunding. 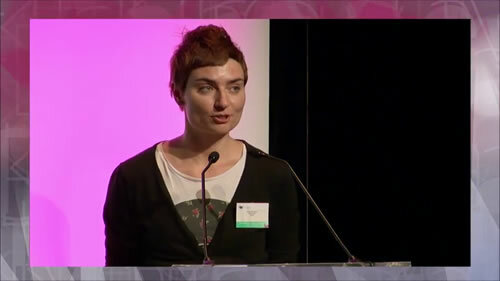 Fellow student of the School of Arts Institute of Chicago with a research on "Art as a change generator”. 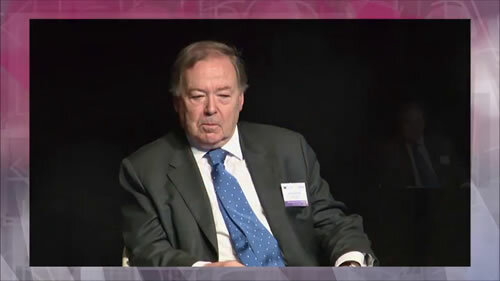 Member of the advisory board of IETM and an active member of Progetto Rena. Linda Di Pietro (1978), studied between Siena, Warwick and Torino. Today lives in Terni, Umbria. Convinced that culture is the main tool for change, she has invested the last 8 years in the management of CAOS, a 6,000 squared meters multidisciplinary cultural centre born on the ashes of a former chemical plant. 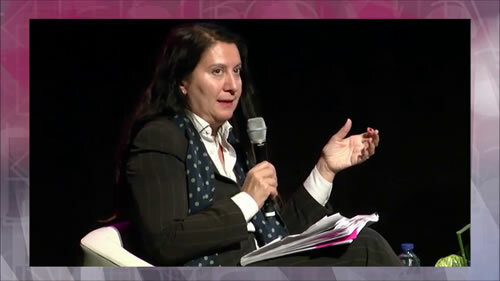 She directs the Terni international performing arts festival (www.ternifestival.it), now at its 11th edition. 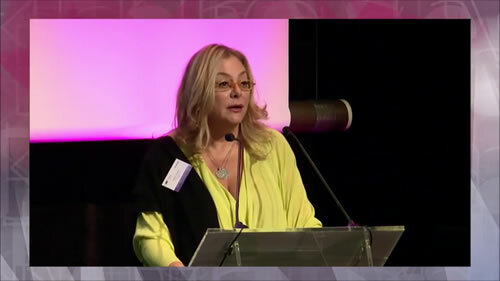 She has been part of the artistic committee of Perugia 2019 candidate European Capital of Culture. And from January 2016 she works as strategic consultant at Teatro Stabile dell’Umbria, in Perugia. Through the years she also curated exhibitions, published papers and collaborated with Spoleto Festival dei due Mondi, Andres Neumann International, Fitzcarraldo and Scuola Holden. 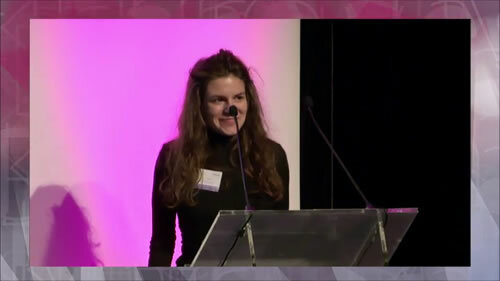 She is a fellow students of the School of Arts Institute of Chicago with a research on "Art as a change generator”. 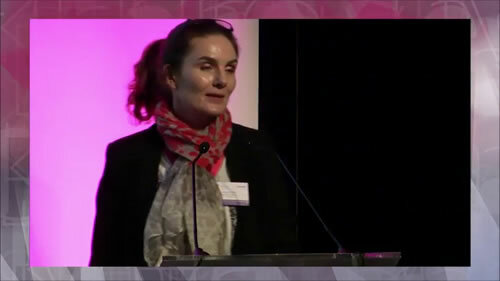 She is in the advisory board of IETM and an active member of Progetto Rena. Her most revolutionary action is four years old, and is named Pietro. Please note that if you have not registered online, you will not be able to register on site. For security reasons, you will need to bring your ID/passport and your confirmation of registration on the day of the event. No luggage will be permitted inside BOZAR. It is recommended that you leave your luggage at your accomodation or in the lockers at nearby Gare Centrale. WiFi is only available in the foyer at Bozar and not in the conference room. Do the projects help people acquire new skills that enrich their professional life? What role for digital tools and new technologies? Have we seen new business and funding models for culture? What solutions have we found to widen and diversify the public? How to bring arts, culture and people closer together? Can culture and creativity projects respond to the challenges of the modern society? How can cultural projects bring about dialogue and cross-cultural understanding? How can cultural projects help build more inclusive societies and integrate migrants and refugees? What can European projects do to bring cultural heritage closer to the people? 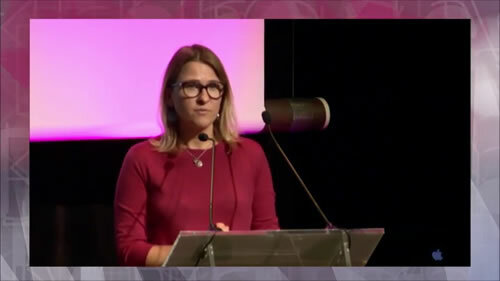 How can they make heritage a strategic resource for Europe’s society and economy? The aim of the ViSet project is to build capacity and promote the use of advanced digital technologies in the arts, to demonstrate the many social, commercial, cultural and creative advantages of these technologies. We do so by promoting, specifically, the use of virtual stage sets which use interactive technologies, Virtual and Augmented Reality and remote-controlled applications, particularly in theatre and dance performances. The project brings together cultural, educational and technical operators in a two-year project. The first year saw the implementation of international workshops in each of the four participating countries (Italy, Serbia, Spain, UK) to increase operators’ capacity in these technologies and help each country prepare a demonstration performance. These performances are now completed and are being shown nationally in each country and, in a last phase, internationally in tour of small festivals through the 4 countries. The final festival in Brescia, Italy, hosted by lead partner LABA art academy, is scheduled for end of November 2016. Thanks to these activities, ViSet is creating a network of cultural operators capable of using new technologies for the performing arts (“providers”) linked in an online community with interested stakeholders such as festival organisers and theatres (“users”). 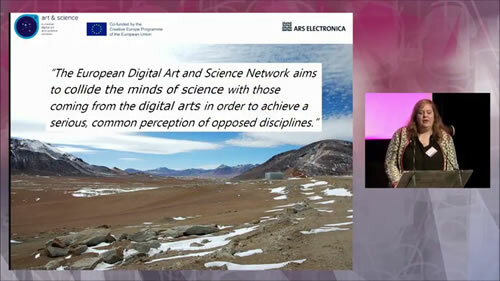 Together with three scientific institutions and seven renowned artistic and cultural institutions, Ars Electronica launched the European Digital Art and Science Network in late 2014. The basis of this project is a big manifold network consisting of three scientific mentoring institutions (ESA, CERN and ESO), representing Europe’s peak in scientific research, the Ars Electronica Futurelab – providing state-of-the-art technical production possibilities in a trans disciplinary discourse, and seven European cultural partners (Center for the promotion of science, RS – DIG Gallery, SK – Zaragoza City of Knowledge Foundation, ES – Kapelica Gallery / Kersnikova, SI – GV Art, UK – Laboral, ES – Science Gallery, IE) representing strong and various European cultural- and artistic positions. 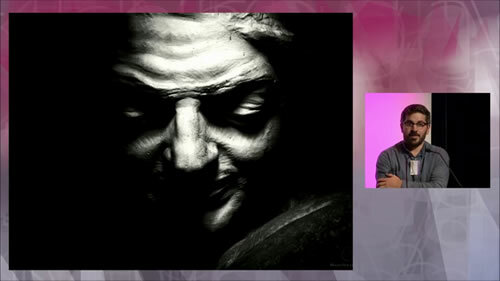 The network aims to link up scientific aspects and ideas with approaches used in digital art. Fostering interdisciplinary work and intercultural exchange as well as gaining access to new target audiences are among its declared goals. There is also strong emphasis on art’s role as a catalyst in processes of social renewal. By creating images and narratives dealing with the potential risks and rewards inherent in technological and scientific development, artists exert an important influence on how our society comes to terms with these innovations. The European Opera Digital Project offers audiences a single, authoritative, accessible ‘go to’ online destination for discovering the whole world of European opera. The project’s platform has far-reaching editorial content, centring on live streams and a wide range of complete performances, subtitled in six languages. It features full contextual background material (video, text, photographs), detailed historical information on individual European houses, selected performance archives, and interviews with major artists. These rich user journeys, complemented by social media initiatives, connect and involve audiences with opera in new and deeper ways. The project is led by European Opera Digital Project, the professional association of opera houses and festivals in Europe, and brings together fifteen opera companies from twelve countries. 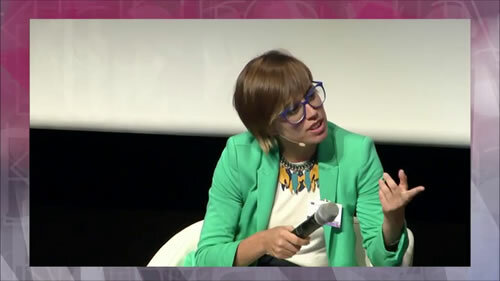 The platform is hosted by ARTE, the French-German cultural TV channel. Piloted by these partners, this initiative has the potential long-term to refresh and reinvent the art form of opera and its relationship to the audience in the 21st century. Over time it can offer singers, musicians, composers, directors and artists of all kinds a unique opportunity to develop their craft and make new work in digital space, ensuring that this ultimate European art form continues to flourish and grow in the digital age. The Opera Platform, since its launch in May 2015, has been a huge popular success with audiences across the globe with over 1,5 million video views counted up until the end of August 2016. 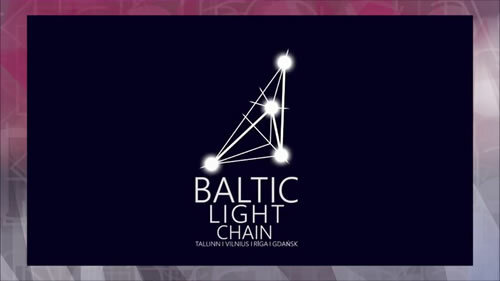 The BALTIC LIGHT CHAIN project idea was born in order to encourage cooperation between organisers of the light festivals in the Baltic Sea region (Latvia, Lithuania, Estonia, Poland ), to obtain the desired synergy effect – to reach new audiences and to make festivals more professional. The Project lasted for 10 months and it helped art students to get acquainted with the new and innovative light art techniques and to showcase their artworks internationally. 34 participants took part in the Summer school on 20-25 July, 2015 in Riga and Liepaja. Overall output of the Summer school is 33 ideas of light objects elaborated and 10 new light installations that were produced. Launching panel of experts’ event in Tallinn, on September 18, 2015 evaluated the situation in light art education in the region. A common strategy for initiating a new professional study programme “Light Culture – Art, Technologies and Innovation in Light(ing)” was agreed upon. The main activity of the project was BALTIC LIGHT CHAIN Tour – 10 interactive installations and projections created in the Summer school were exhibited within the light festivals: Staro Rīga (Latvia), Tallinn Light Biennale (Estonia), Beepositive (Lithuania) and Narracje (Gdansk) in autumn 2016 inflaming light chain in the Baltic States. More than 200 000 visitors have seen the BALTIC LIGHT CHAIN Tour objects. The Project Final Conference was held in Gdansk on February 4, 2016. Light art experts, project managers and artists, light festivals' curators and academics met in order to create a long term collaborative platform and development strategy on light art in the Baltic Sea region. The European Film Challenge lets you support European cinema when you want, where you want. So whether you’re enjoying films on the big screen at your local cinema, or streaming them at home, simply share the experience online for your chance to win. Taking part is easy. Just sign up to take the European Film Challenge at europeanfilmchallenge.eu. Then, each time you watch a European film, log in to share the experience with friends on Facebook, Twitter or Instagram. Tell the world what you’ve been watching – maybe with a photo of your ticket, or even a selfie at the cinema. And don’t forget to spread the word using the hashtag #europeanfilmchallenge. To complete the European Film Challenge, you need to watch 10 European films before the closing date of 15 December 2016. One lucky winner from each country (Lithuania, Latvia and Estonia) will be chosen from all those who complete the challenge, to receive the top prize of a trip to the Berlin International Film Festival. Plus, look out for bonus points and prizes we’ll be offering along the way. So what are you waiting for? Take the Challenge! An online literary magazine with great new writing by major international authors on poetry, books, art, film, music, thought, travel, opinion and more. 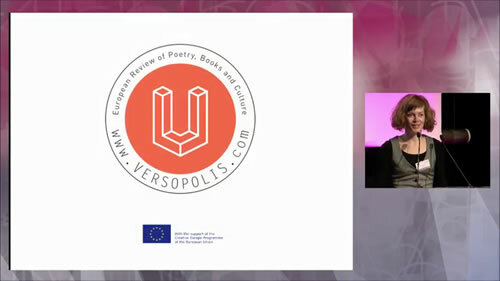 A selection of 13 international festivals from all over Europe, more than 137 participating striking poets, rising stars of European poetry, 185 trilingual poetry booklets, a large online archive of poetry and a review of poetry, books and culture bringing interesting news every day. In the project [DNA] DEPARTURES AND ARRIVALS (October 2014 – September 2018), 13 organisations from different corners of Europe join forces to support young dance artists to gain access to alternative models of education and to step into the professional field, and to secure or improve the position of contemporary dance and of young artists in general. DEPARTURES. The possibility to develop one’s talent should not be hindered by financial or social barriers. By providing scholarships to talented young artists to pursue their training in PARTS in Brussels, [DNA] helps to secure democratic access to international education. In order to keep the threshold as limited as possible, [DNA] organizes auditions in different places across Europe. ARRIVALS. The world of contemporary dance can only keep on developing if it can be challenged by young talent that enters the field. 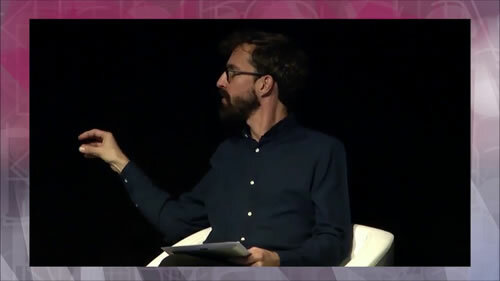 [DNA] gives opportunities to young artists to start their career or to get sustained support after their starting experiences, in the form of residencies, co-productions and presentations in leading festivals, venues and production structures across Europe. [DNA] builds on the experience of the independent dance school PARTS in Brussels, links it with the expertise of international venues, festivals and producers and opens it up to dance artists from across Europe. Flâneur - New Urban Narratives is a network project designed as an international partnership that involves 20 organisations from 11 countries. The project is based on artistic interventions within public space, challenging contemporary photography. Encourages artists to create new interpretations of the urban terrain, taking the concept of flâneur as their starting point. 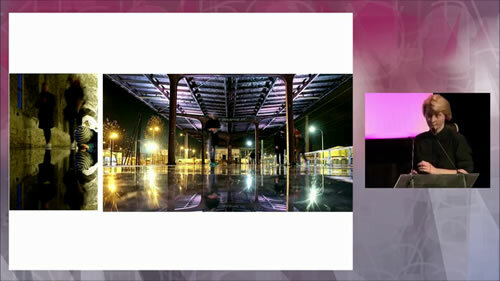 Besides the art projects and interventions in public space, the project is comprised of several other dimensions brought to light in various ways: workshops, ateliers, masterclasses, artistic residencies, and conferences – initiatives intended to foster a critical analysis of contemporary photography and contribute to a reflection on the relationship between art practices and the city. The result of these various contributions will subsequently be displayed in public space, bringing to the street artworks which would conventionally be enclosed in museums and galleries - therefore, contributing to a process of deconstruction, and to the democratisation of the access to art. The Project promotes a transversal perspective on the social dynamics that configure urban space. The specificity of this “portrait” stems from being created by a large and diverse group of artists who, drawing from a common theme, render a new look upon the plural realities that compose public space - a look that is shared with a wide audience, who is invited to drift and stroll around the city, rediscovering it. The power of diversity is the title of the European large scale cooperation project for performances in the public space, co-funded by the Creative Culture Programme of the European Union. One of its results will be a new international ensemble, made up of participants from the site-specific productions initiated by the partners from 2015 to 2017. In this first phase of the project (2015 and 2016), productions for the public space will be created for festivals of the ten partners in seven European countries. These performances will be developed in the corresponding cities with a focus on that city’s history, location or some other special characteristic. Between 15 and 40 young adults from the each city will be working with the artistic direction team to develop a production in approximately two weeks’ time. 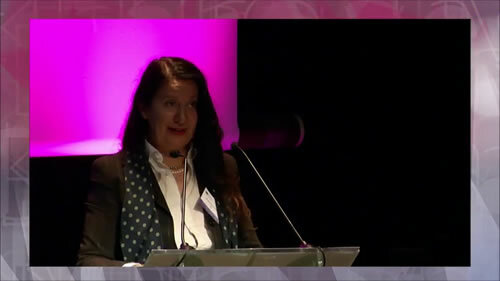 They will then present this production within the scope of a festival or special framework programme. In addition to the forms typical for this genre (such as acrobatics and theatre), the medium of expression for the productions is primarily hip-hop, and rap (poetry slam) since the competition mainly targets young people who belong to social strata in which education and theatre culture is not given high priority. Those participating in the initial productions will then be integrated in the performances of the newly formed ensemble. In addition to the artistic focus, whose overall concept centres on many aspects of crossing lines, the project further aims to reach and integrate new audiences from different backgrounds. These audiences will also be interviewed on the subject matter. Their answers will be digitalised, visualised as an aesthetic construct and shown in a collection of eleven exhibits. These exhibits will remain in the partner cities at the end of the project. Chôros is a cultural cooperation project between organisations from France, Portugal, Morocco, Bosnia-Herzegovina and Georgia. Partners of the project intend to foster cultural exchanges between cities from the centre, periphery and neighborhood of Europe by means of performing arts practices. 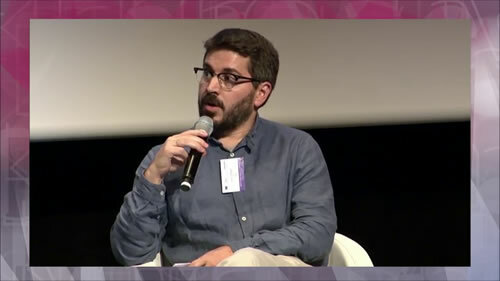 Objectives of Chôros are to create the ground for a cross-sectorial and trans-regional platform, lead by artistic and cultural organisations, addressing common social issues (social inclusion and democratic participation, migrations from neighbour and far countries, ageing and co-operation between generations, employment and new relations to work). From July 2015 to September 2016, with the support of Creative Europe programme, partners of the project experimented, structured a cooperation process, elaborated a common strategic approach. develop new business models balancing economical gaps and capacities. "SYMBOLS intends to create and test new approaches to discover European Cemeteries, in order reinforce the knowledge and public awareness on their hidden heritage. In order to achieve these goals, funerary symbols are used as a common subject and source of inspiration for the involved cultural managers and artists. The collection of data and definition of common artistic elements (symbols) and the subsequent creation of tours and activities thanks to the mobile App ARtour. The adaptation of ARtour app to the needs of people with aural and visual impairment. The organisation of a multidisciplinary roaming exhibition presenting the artworks made by more than 40 artists in two artist residencies (printmakers, dancers and musicians). The transfer of experience and knowledge through workshops and the creation of good practice guides and collaboration with the Association of Significant Cemeteries of Europe (ASCE). Heroes We Love is a collaborative, multidisciplinary project on the (still controversial) topic of socialist heritage of the 20th century European art. It brings together partners from institutional and non-institutional sectors from Central and South-Eastern Europe. The project is aimed at connecting contemporary art practices with research works and involvement with the audiences on the phenomenon of socialist art in its cultural, social-ideological and political context, spanning the period from the inception of the communist/socialist states of Eastern Europe until today. It boldly exposes the geo-political term ‘New Europe’ and encompasses the region from Poland to Albania in a joint transnational project. The aim of the project is to outline development of socialist art, its various (art) forms and visual manifestations, its relevant art works and artists by presenting different case studies and to connect the heritage with contemporary art trends and visions as well as communicating and connecting the topic with the audiences. The project seeks to reconstruct an important segment of the shared history of ‘New Europe’ and to strengthen cross-cultural respect and understanding through trans-national collaboration and mobility.